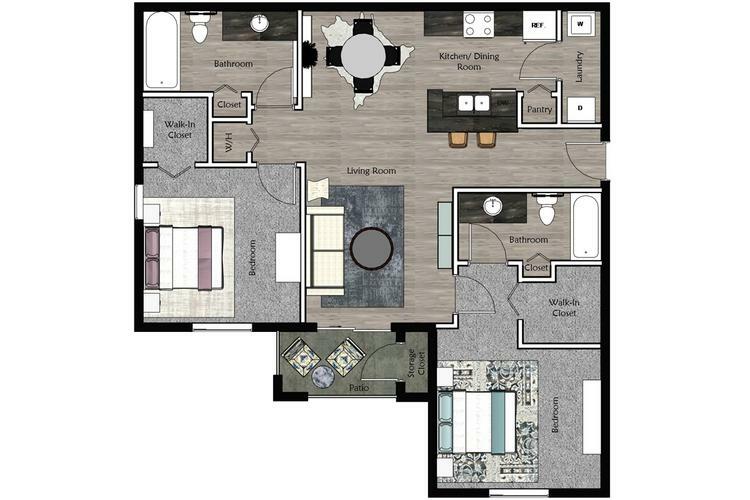 The Beauclair is our 2 bed 2 bath floor plan with the perfect set up for you and your family and/or guests. Each bedroom is located on opposite sides of the floor plan, giving everyone the perfect amount of privacy. Enjoy the fully equipped kitchen area including a breakfast bar. Every home will include a full size washer and dryer. Your dining area flows into your spacious living room, that opens to a patio or balcony. Both bedrooms have large walk-in closets while the master bedroom has an ensuite bath. Extra storage space is conveniently placed within your patio. 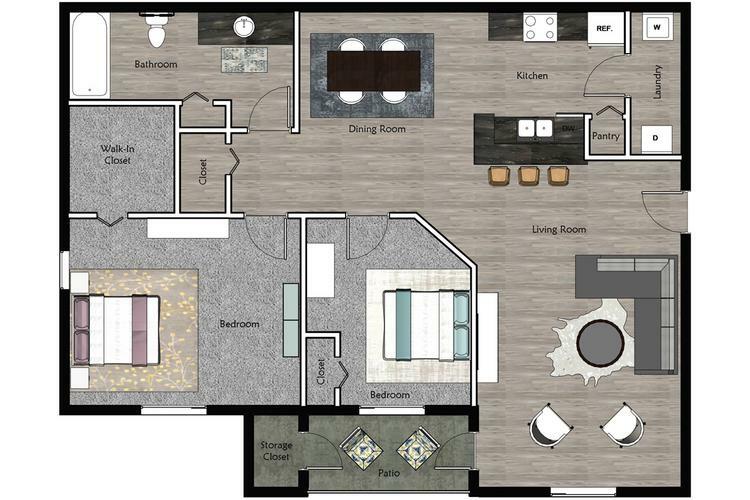 The Carlton is our most spacious 2 bed 1 bath apartment. Residents love this extra space to use as an office, entertainment room or guest room. This floor plan has a full-size washer and dryer, separate dining area and a living room that opens up to your own private patio or balcony. Your kitchen has a breakfast bar and is readily available with the perfect amount of space to gather your everyday cooking needs. This floor plan also has a convenient storage closet off the patio/balcony area.